Hi wine friends and happy Wine Wednesday! 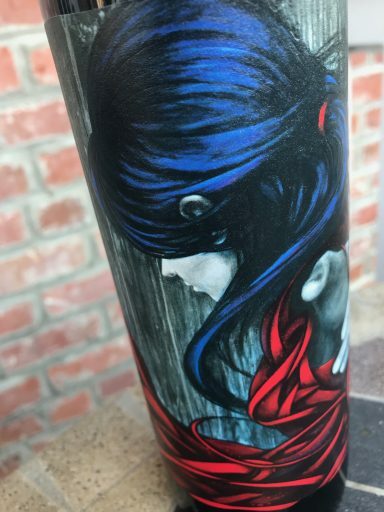 March is actually Washington State wine month, and so I’m sharing one of the Washington wines from my recent Wine.com haul—the 2016 Intrinsic Red blend. You can watch my YouTube video to get all my thoughts, as well as background on the wine, or you can keep reading! I bought this wine back in February 2019, but by the time I recorded the March video, it looks like Wine.com is sold out of the 2016 vintage. However, it’s still available in my local grocery store. The wine on this wine is absolutely amazing. It’s actually done by Brooklyn street artist, Zimmer. I know very little about street art, and the little I know is from Googling, but Zimmer used wild style to create the labels for both the Intrinsic Red Blend and the Intrinsic Cabernet Sauvignon. The combination of wine and street art was done purposefully to draw attention to the process of using the environment to create art. Intrinsic wine is trying to bridge the gap between the agriculture side of winemaking, which is where the grapes grow, and the urban side of winemaking, which is where people enjoy drinking of the wine that is made. The 2016 Intrinsic Red Blend is a red wine from mixed with some licorice, hints of lavender, and a lot of cedar. In the mouth, there were a lot of blueberries and blackberries with licorice, milk chocolate, and cedar, as well as hints of lavender and mint. The wine has a medium body, medium acid, and medium-to-high tannins. Overall, this wine is an easy drinker, but it has a little bit of a kick because of the alcohol level. You would never know, though, because it’s well integrated. I wish I had some grilled lamb or Portobello mushrooms to go with the wine. It will definitely be a nice addition to a cookout, as the weather gets warmer. This was the perfect wine to open in honor of Washington Wine month! Have you seen the Intrinsic wines where you are? Have you had one? What do you think of Washington wines? Do you have a favorite? Hi wine friends, and Happy #WineWednesday! It’s hard to believe, but yesterday was my 10-year blogiversary. To celebrate, I opened a Francis Coppola Winery Director’s Chardonnay because my first wine review blog post was a Coppola wine (the 2006 Diamond Collection Cabernet Sauvignon). Cheers! Have you had any wines from Coppola Winery? What did you think? Did you have a favorite? What are your thoughts on Chardonnay? Do you love it? Hate it? Or do you just go with whatever wine is flowing? Hi wine friends, and Happy #WineWednesday! 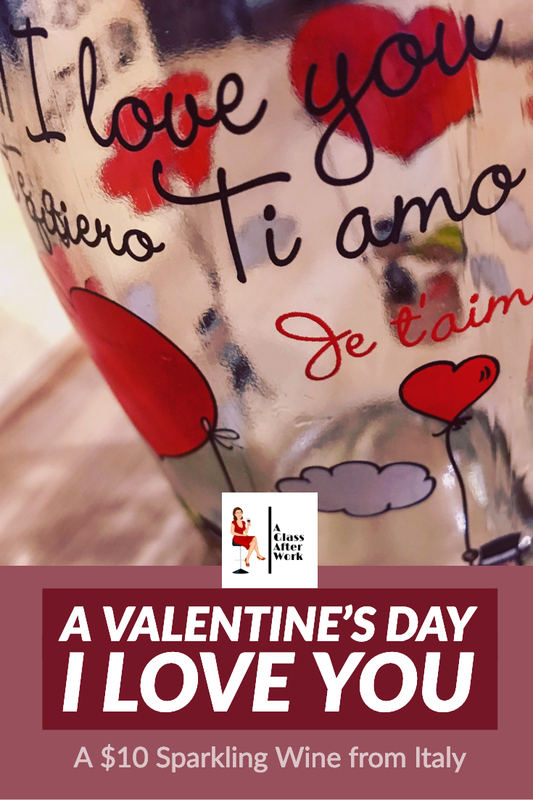 Today, I’m tasting the Villa Jolanda Saint Valentine’s Day I Love You. It’s a $10 sparkling wine from Italy. I thought it would be perfect in anticipation of Valentine’s Day. Cheers! Question of the Day: Do you celebrate Valentine’s Day? If so, what are your plans? Are you heading out or staying in? And, are you drinking any wine?